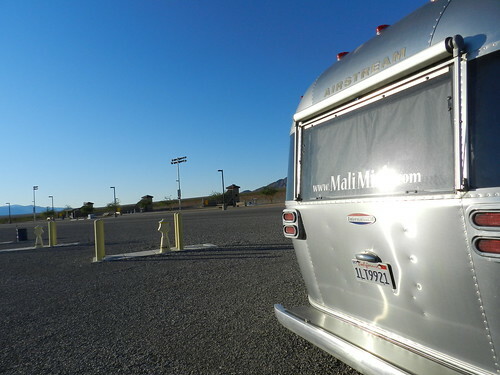 Mali Mish – Day 11: Boondocking at a Casino and Camping at a Shooting Range. It was actually quite nice because the Orleans has a dedicated over-sized vehicle parking lot with plenty of space with no one there to bother you. We paid them a visit in the morning for a little breakfast, another buffet of course, before heading out for a legitimate campground. At the north end of town, I did some research and found a brand spanking new county park with full hook up RV sites for a mere $20 a night. The caveat is that this park also doubles as a recreational shooting range. 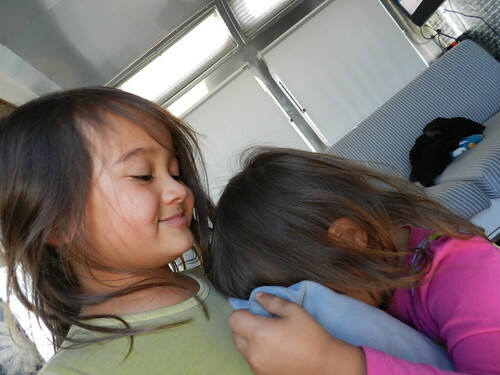 Don’t be scared Mila. Those people with guns are not the buffet police looking for that little one who didn’t finish their mac and cheese last night, they are just here to blow off some steam. In all seriousness, this is actually quite a little gem. The facility is so large, we are at the end of the shotgun range about a good 1/4 mile away from any other human being. There are almost 100 sites here and probably only 3 campers in the whole place. 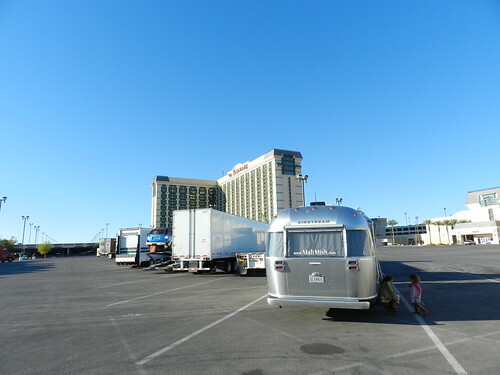 We had initially thought about camping at the KOA on the strip but having walked through there a couple of years ago, we were not too impressed with the parking lot like environment and its steep prices. Now that we are more seasoned travelers, we are a little more adventurous with trying new places out. Over the last several days, we have been trying to link up with our old friends Angela and Jimmy. They are also doing a tour of the southwest in their camper and driving through much of the same roads. Unfortunately we have not been able to link up. 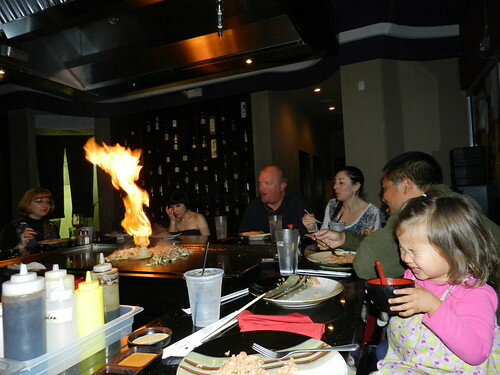 Finally here in Vegas, we managed to meet up for one night at the campground and headed out for a nice Japanese Tepanyaki dinner in north Las Vegas. Don’t be scare little one, it’s not a real volcano. 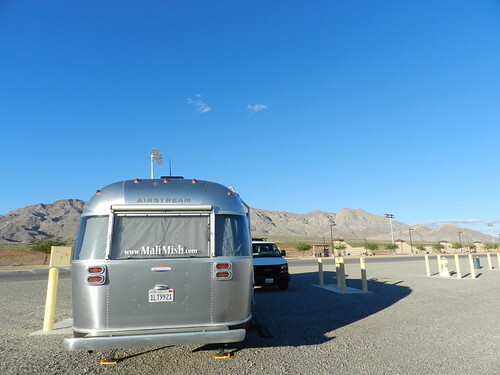 7 Responses to Day 11: Boondocking at a Casino and Camping at a Shooting Range. What’s the name of the county park? oh i guess it’s on the picture/sign! 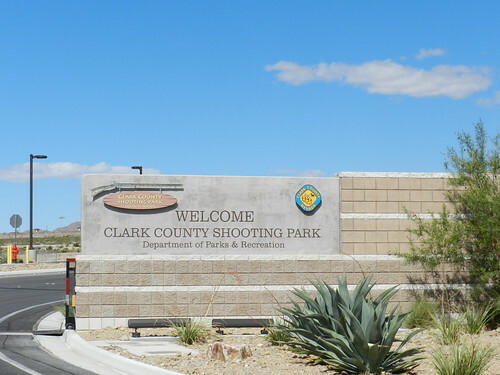 Hi Leigh, its called Clark County Shooting Park. it is indeed on the sign 🙂 Looks like you guys are in Vegas for a few weeks. Its definitely not as close as you are to the strip but probably much quieter an unique spot. We are! How long are you guys here? Where are you off to next? We are actually not in Vegas anymore. We are not back at home in Ventura. I think we will be headed to the Palm Springs area in mid December. What about you? We’re in Vegas until the 23rd, then Burbank for Christmas, Norco for the week, Burbank for New Years, then San Diego for January…so no crossed paths yet. We are not far from Burbank. Around 30 to 45 minutes. Let us know when you are there.